The Sitecore 9 SQL Shard Map Manager sharding deployment tool is designed to create your initial sharded environment that houses raw xConnect data. It’s not intended for rebalancing or reconfiguration of an environment with data. You would need to perform manual steps to reconfigure your environment. The SQL sharding deployment tool can be found in the (OnPrem)_xp1collection.scwdp.zip package, in the \Content\Website\App_data\collectiondeployment\ folder. It is a command line interface tool that can be used either for deploying a sharded environment or for removing it. There are two execution methods that I have found. The first is manual execution. The second is via SIF (including a small execution for deploying to Azure SQL). /connectionstring Connection string to the server for shards to be created on. Should contain name of the server and credentials. /dbedition The edition to use for Shards and Shard Map Manager Database if the server is an Azure SQL DB server. If the server is a regular SQL Server then this is ignored. /operation "create" /connectionstring "Data Source=.\SQLSERVER2016;User Id=myuserid;Password=12345abc;Integrated Security=false;Timeout=30" /dbedition "Standard" /shardMapManagerDatabaseName "Sitecore.Xdb.Collection.Database.Sql.ShardMapManagerDb" /shardMapNames "ContactIdShardMap,DeviceProfileIdShardMap,ContactIdentifiersIndexShardMap" /shardnumber "3" /shardnameprefix "Sitecore.Xdb.Collection.Database.Sql.Shard" /shardnamesuffix "" /dacpac "C:\Temp\Sitecore.Xdb.Collection.Database.Sql.dacpac" /log "tool.log"
/operation "drop" /connectionstring "Data Source=.\SQLSERVER2016;User Id=myuserid;Password=12345abc? ;Integrated Security=false;Timeout=30" /dbedition "Basic" /shardMapManagerDatabaseName "Sitecore.Xdb.Collection.Database.Sql.ShardMapManagerDb" /shardMapNames "ContactIdShardMap,DeviceProfileIdShardMap" /log "tool.log"
.\Sitecore.Xdb.Collection.Database.SqlShardingDeploymentTool.exe /operation "create" /connectionstring "Data Source=mysqlserver.database.windows.net,1433;User Id=my-admin;Password=12345678;Integrated Security=false;Timeout=120" /dbedition "Standard" /shardMapManagerDatabaseName "XP1UAT_Xdb.Collection.ShardMapManager" /shardMapNames "ContactIdShardMap,DeviceProfileIdShardMap,ContactIdentifiersIndexShardMap" /shardnumber "2" /shardnameprefix "XP1UAT_Xdb.Collection.Shard" /shardnamesuffix "Db" /dacpac "S:\Sitecore\xConnectCollection\App_data\collectiondeployment\Sitecore.Xdb.Collection.Database.Sql.Azure.dacpac" /log "tool.log"
Post deployment, you need to add the correct permissions to the Shard Map Manager and Shard databases. This entails a “collectionuser” which resides outside of the database contained user security paradigm used for all other databases as this user needs to communicate across the Shards and Shard Map Manager. 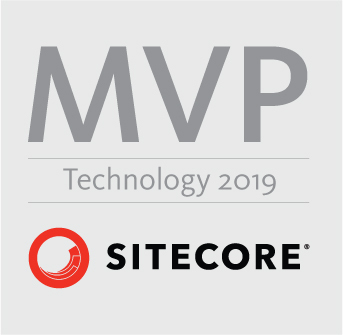 The Sitecore 9 SIF actually calls the Shard Map Manager tool during its deployment process for an On Premises installation, passing along the parameters declared in the xConnectCollection JSON file. You can also deploy shards to Azure SQL if you change the dacpac file name declared in the xConnectCollection JSON file. Generate some visits (ensuring to close your browser for session end) and check your Experience Analytics for results. NOTE: it may take a while for Sitecore to compile and process the raw data but you can check the interactions table in the shards to confirm the raw data is present (it will be in one of the shards, selected by the Shard Map Manager) and check the visits table in the Reporting database to see if your visits have processed. If you can see visits in the Reporting database it should appear in the Experience Analytics GUI assuming your Sitecore 9 environment is properly configured, including SSL certificates.